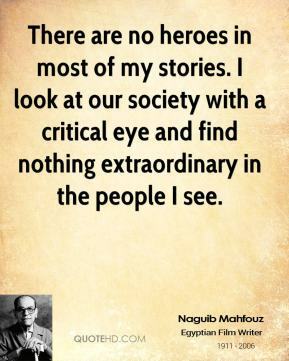 There are no heroes in most of my stories. 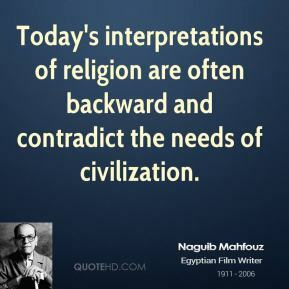 I look at our society with a critical eye and find nothing extraordinary in the people I see. 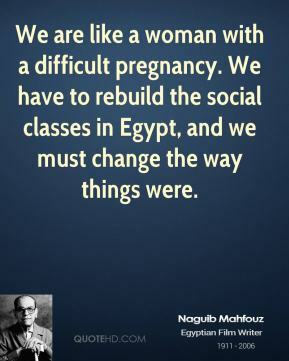 We are like a woman with a difficult pregnancy. 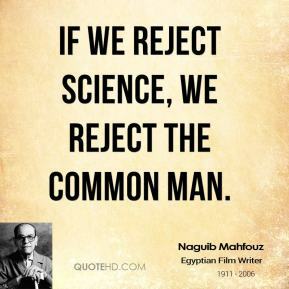 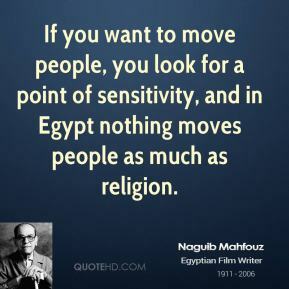 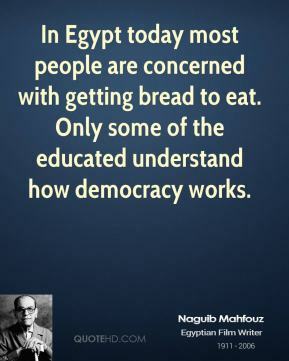 We have to rebuild the social classes in Egypt, and we must change the way things were. 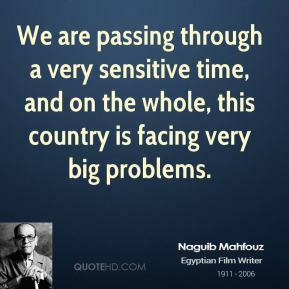 We are passing through a very sensitive time, and on the whole, this country is facing very big problems. 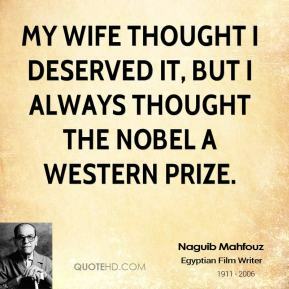 We used the Western style to express our own themes and stories. 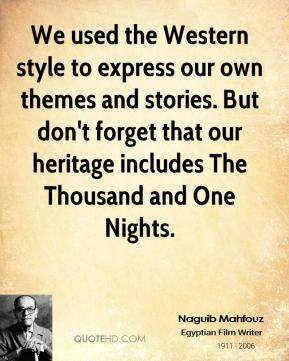 But don't forget that our heritage includes The Thousand and One Nights. 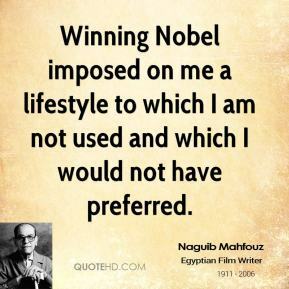 Winning Nobel imposed on me a lifestyle to which I am not used and which I would not have preferred. 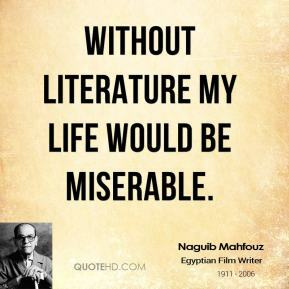 Without literature my life would be miserable. 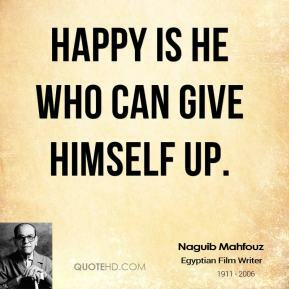 Happy is he who can give himself up. 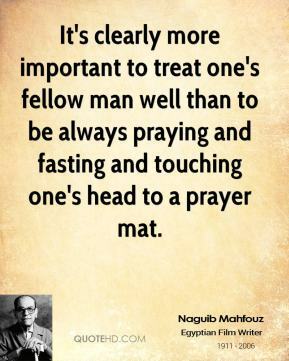 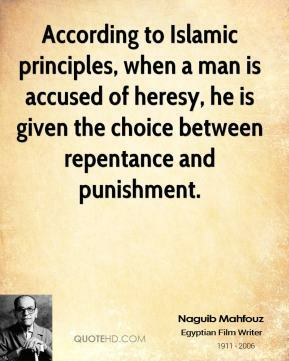 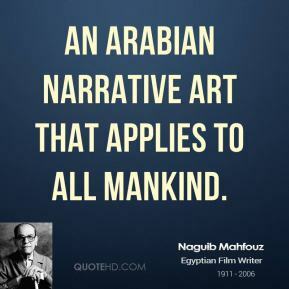 an Arabian narrative art that applies to all mankind. 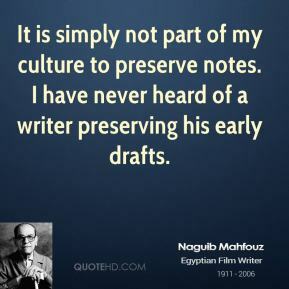 It is simply not part of my culture to preserve notes. 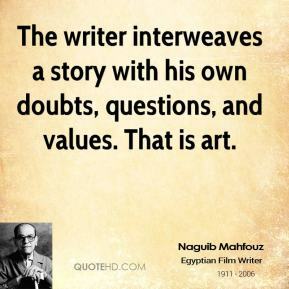 I have never heard of a writer preserving his early drafts. 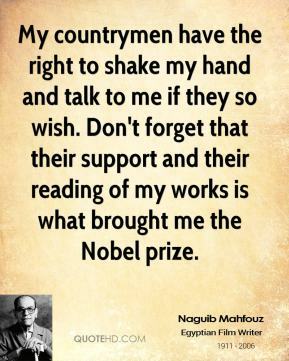 My countrymen have the right to shake my hand and talk to me if they so wish. 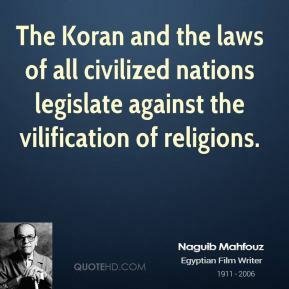 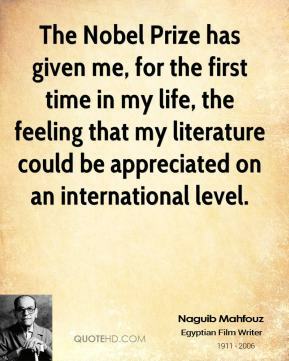 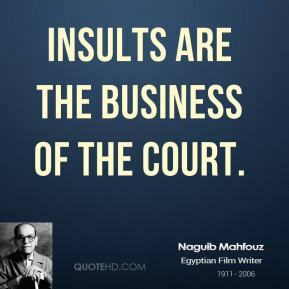 Don't forget that their support and their reading of my works is what brought me the Nobel prize. 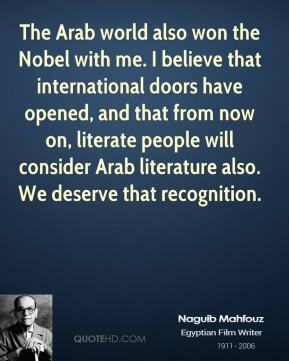 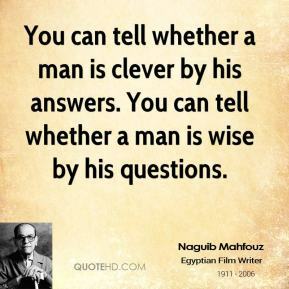 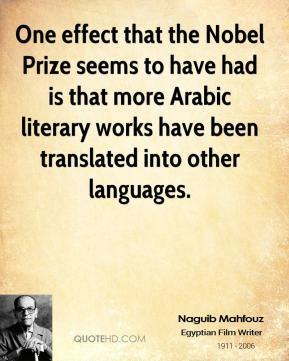 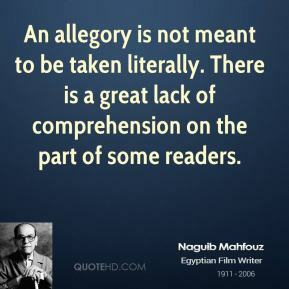 One effect that the Nobel Prize seems to have had is that more Arabic literary works have been translated into other languages.